This letter was written by Pvt. Isaiah Foye Haines (1820-1879) of Company E, 2nd New Hampshire Infantry. 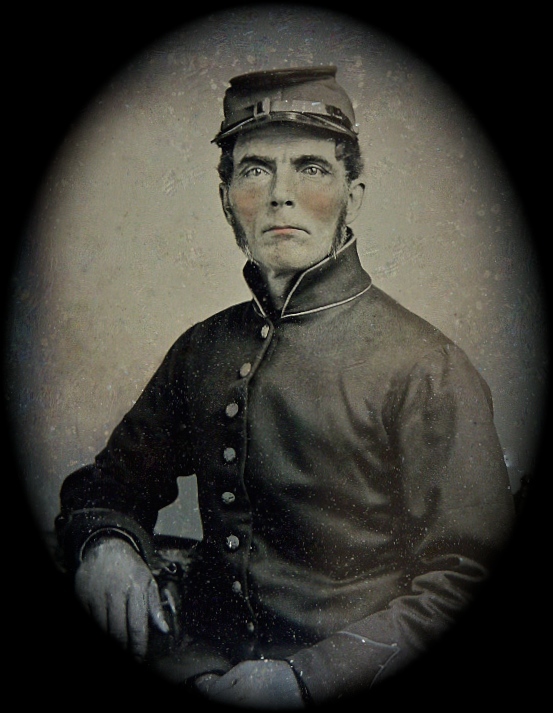 Isaiah enlisted on 1 May 1861 for 3 months but was not mustered in. He re-enlisted for 3 years in June 1861 and was appointed corporal in January 1863. He mustered out of his regiment on 21 June 1864. Of the 900 who fought in the regiment’s first battle at the First Bull Run, seven were killed, 56 wounded (seven mortally), and 46 missing (many of them wounded and all of them captured by Confederates). The Regiment’s Colonel, Gilman Marston, had his arm shattered and refused amputation. He went on to recover and lead the 2nd New Hampshire at the battles of Williamsburg. At Gettysburg, the 2nd New Hampshire entered battle with 353 soldiers. In under three hours, 47 were killed, 136 wounded and 36 men went missing during heavy fighting in the peach orchard on the Emmitsburg Road; of the 24 officers, only three were not killed or wounded. 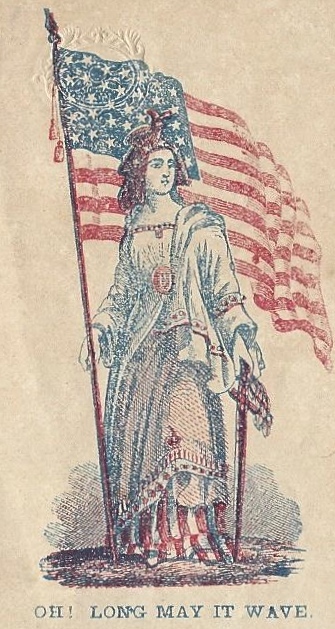 Due to their high losses, the 2nd New Hampshire was assigned to guard duty at Point Lookout, Maryland, with the 5th and 12th New Hampshire Volunteer Regiments. The 2nd New Hampshire returned to battle in time for the Battle of Cold Harbor where it suffered heavy casualties of nineteen killed and 54 wounded. Shortly after Cold Harbor, 223 had completed their enlistments — including Corp. Haines — and returned home. Isaiah was the son of Josiah Allen Haines (1790-1853) and Mary Foye (1797-1876) of Exeter, New Hampshire. He wrote the letter to his sister Mary Hannah Haines (1841-1920) who married George Carter in January 1862. I take this opportunity to write you a few [lines to say] that I am well and hope you [are] the same. I thought I would write as we have got orders not to leave camp today but be ready at a moment’s notice so I judge by that we shall soon have a fight. It cannot be delayed long. Yesterday our troops took a place called Monson Hill. It has been called a hard place to take but we took it without firing a gun and took the commanding officer and 2 lieutenants. My hand has got all well but my finger is stiff and always will be, but I have done duty for the five weeks past. I have been to see the 3rd [New Hampshire] Regiment. All of the boys look well. There are a great many men here in most all of the regiments that have known sometimes. They are coming by us everyday regiments as fast as they can. There is but little sickness in camp but a few have got the ague. We have cold nights every eve. Had a frost last night. I suppose you have plenty of them there. There are a great many slaves here & every Sunday will appear and such things to sell. They are very poorly dressed — some have no shoes. The women have a rag tied upon their head. They bear just the same as the men. They look hardly fit to be seen. They say some of them that they come 14 miles to sell their apples and then take a load of clothes home. They seem very much pleased with them. Write me. Have the crops come in; how the potatoes and apples are; if the potatoes rot any. Write me all the news. I have got to be real steady since I have been here. Give my love to Mr. and Mrs. Horis & Mr. & Mrs. Robinson & Lisa. This entry was posted on Sunday, June 8th, 2014 at 3:20 pm	and posted in Uncategorized. You can follow any responses to this entry through the RSS 2.0 feed. The 2nd NH abandoned their grey uniforms right around the time of this battle. Regimental Quartermaster Returns indicated they were issued blue sack coats in 1861 and may actually have been wearing them at 1st Bull Run.